GNI welcomes Facebook’s full publication of an independent report assessing the human rights impacts of the company in Myanmar, formerly Burma, where some estimated 20 million of the 50 million population are Facebook users. "When companies work together with stakeholders to implement human rights commitments, it makes a difference. 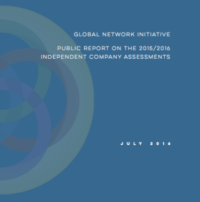 GNI and TID companies performed better than all other companies evaluated in the Index on indicators measuring the extent to which companies have institutionalized their corporate-level commitments to freedom of expression and privacy,” said Ranking Digital Rights Director Rebecca MacKinnon. Governments who disrupt the Internet could be shaving off 1.9 percent of their daily GDP. Read more for the full report. 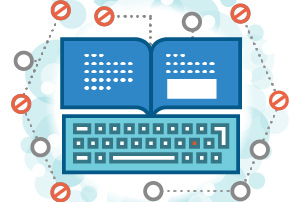 GNI has released new recommendations for governments and tech companies to protect user rights when they address content alleged to be extremist or terrorist. The GNI continues to urge the Brazilian government to adhere to international human rights standards on free expression and privacy and to refrain from blocking access to communications platforms. Local staff working in many countries may be increasingly targeted for arrest or intimidation in cases where they are involved in the provision of encrypted services. From February 1st, Millicom, Nokia, Orange, Telefónica, Telenor Group, TeliaSonera, and Vodafone Group will have official observer status within the GNI. A Brazilian court’s decision instituted a nationwide blocking of the WhatsApp messaging service on December 17. The GNI urges the Brazilian government to adhere to international human rights standards on free expression and privacy and to refrain from blocking access to communications platforms. In its latest transparency report, Facebook has reported an 18 percent increase in official requests for its users' data around the world.